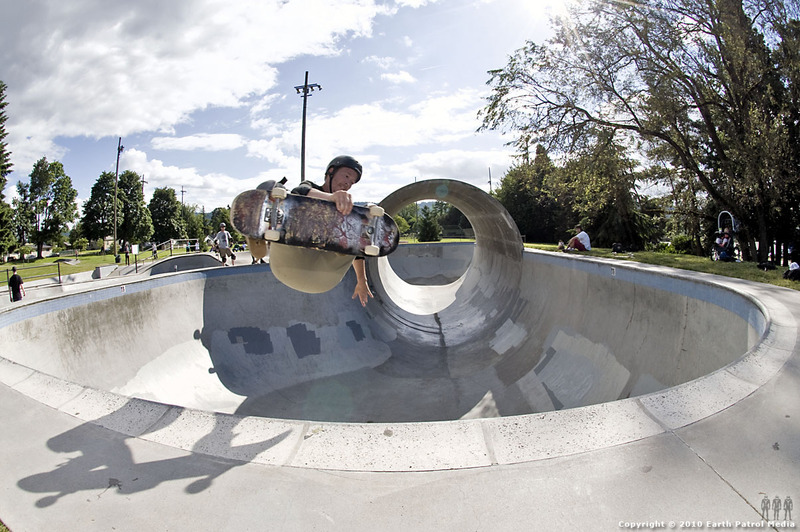 This week’s Monday Cover skater, Mike Swim, wants you to come skate some vert at Pier Park. Consider this your standing open invitation to come skate with the Swami each and every Saturday from 5 pm to dusk. Mike is tuning up his vert skills, case in point, this Fourth of July weekend appropriate indy air. Check out more pics of Mike going off at Pier after the turn. Dude, you’re blowing out the session. makes it look so easy…. Mike, you’re the man. Just got stoked on your spot on the Rip City doc. Keep blasting.